Enjoy a £50 credit with O2 to spend on Twitter was posted on November 18th, 2013 at 11.13pm and is filed under Business, Marketing, Social Media Marketing, Social Networks, Twitter..
As part of opening up its self-service advertising platform to small and medium-sized businesses in the UK and Ireland, Twitter has announced a partnership with O2 to support UK small businesses. Businesses that sign up (for FREE) to O2’s new ‘Social League’ may be eligible for a £50 credit to spend on Twitter’s new advertising platform. Until now businesses wishing to benchmark their influence and get a sense of their position in the Twittersphere had to use global metrics ‘Klout’ to do so. No wonder many UK SMEs felt somehow lost in this global community. 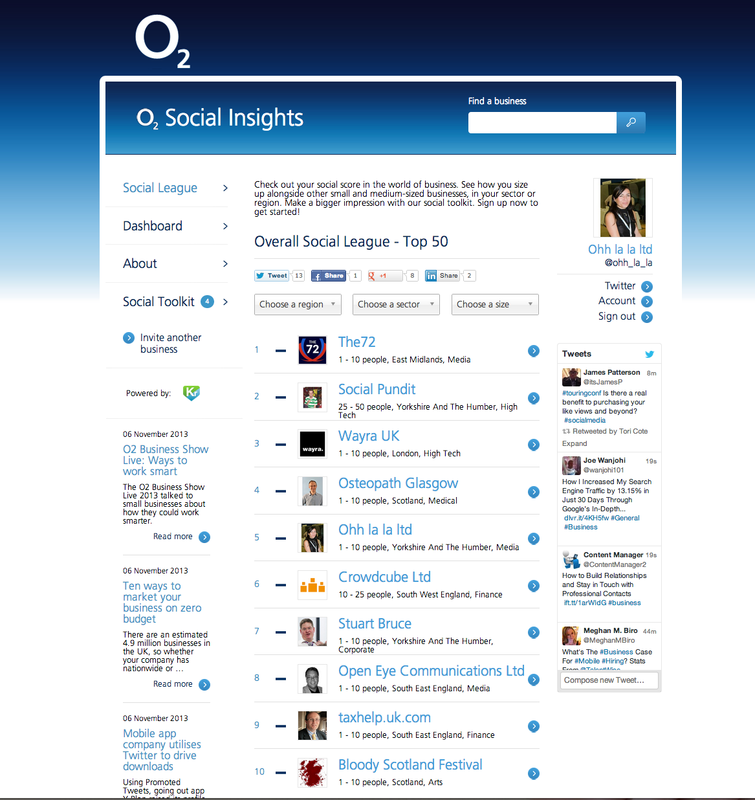 With O2 launching their own UK Social League, even small businesses will be able to measure their influence in the UK and access metrics that may be much more meaningful to them. An effective way, then, to really engage with your audience one to one, wherever they are. But as with every aspect of marketing you need to get it right to make it deliver for your business. Embrace it properly, however, and Ohh La La believes it’s a real opportunity for SMEs to think big even more. 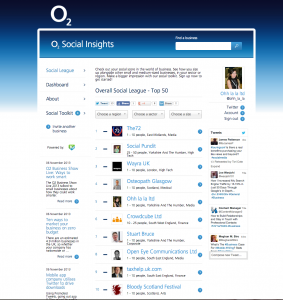 The O2 Social Insights tool is now live. So why not check out how you compare with Ohh la la?